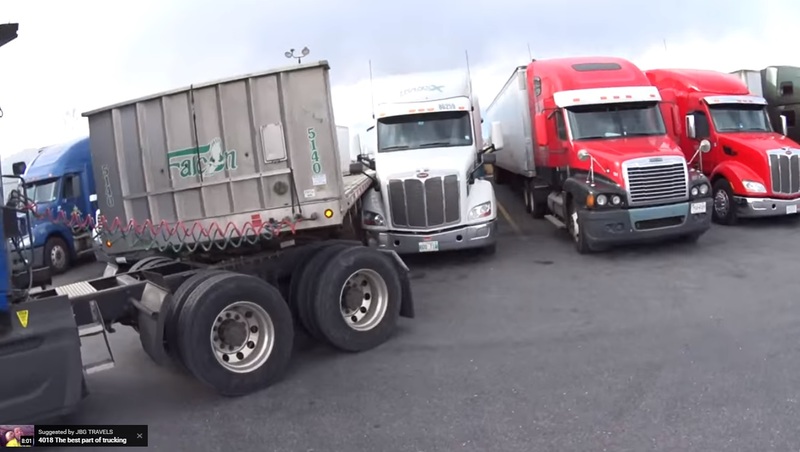 A driver was backing into a parking space at a truck stop. As he was backing, he came too close to the vehicle parked on his blind side and backed into it. What does he do? He pulls forward and while focusing on his blind side, he backed into the truck parked on the driver’s side of his vehicle . . .
Nobody said it was easy . . .
Not all backing collisions end up costing “only” $5,000 in claims as in the story above. People can be seriously hurt, or even fatally injured in a backing collision. Year-after-year, backing collisions remain one of the most frequent category of all collisions. But they are also in the category of the most preventable collisions. Savvy delivery and trucking companies encourage their drivers to Get Out And Look (G.O.A.L.). 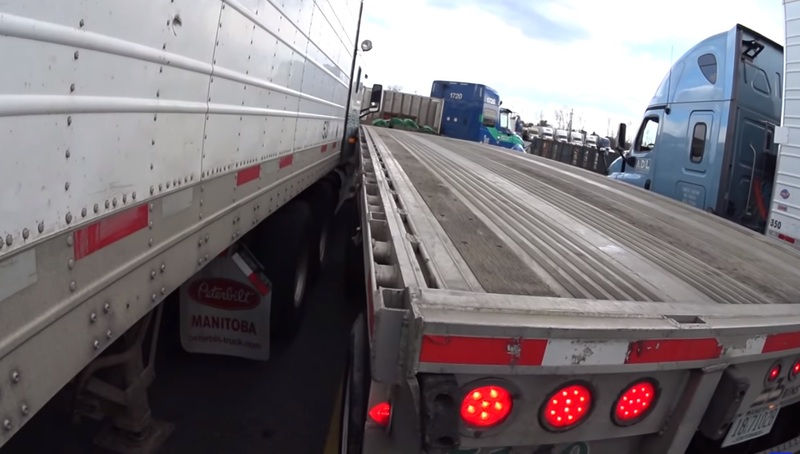 Don’t back “by feel.” Slamming forty tons of vehicle against anything—even at a slow speed—can result in thousands of dollars of damage and destruction. Drivers need to walk their path and look for potential obstacles. Look for overhead obstacles, too. Low tree branches or power lines can really mess up your day. Get out and look as many times as you need to. You can’t be too safe. A spotter can help avoid obstacles. Be sure you can see your spotter and your spotter can see you. You know—that eye contact thing. Review any hand signals with the spotter. And maintain eye contact. Stop if you don’t see the spotter. The driver, however, is ultimately responsible for any movements of the vehicle. The driver in the above crash photos lost eye contact with the spotter . . . Idle while backing. Never use the fuel pedal or place the vehicle in a higher reverse gear while backing. Slow and sure wins the race—especially in reverse. Backing does not come naturally for most drivers. Like most things, the more one does it, the easier it is to do. But not any less dangerous.